The federal government provides financial help in certain circumstances, but finding out about those programs – and taking advantage of them – can be difficult. In some cases, the government does not lend money directly. Instead, loans are offered by lenders (like banks and finance companies) and backed by the U.S. government: the government promises to repay if you, the borrower, fail to do so. That guarantee reduces the risk for lenders and makes them more willing to lend at attractive rates, and they’re also more willing to lend in situations when you might not otherwise qualify for a loan. 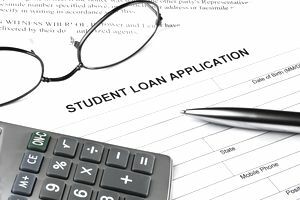 If you need help paying for school, federal student loans (under the Direct Loan program) are probably your best option. They are easy to qualify for, they have competitive rates, and they offer flexibility when you’re getting on your feet (and when you hit the occasional speed bump in life). For example, during periods of unemployment, you might be able to skip your loan payments temporarily. You can also reduce your required loan payment to make it affordable (given your income level). Stafford Loans - easy to qualify for. Interest may be subsidized. When borrowing for education, it almost always makes the most sense to borrow as much as you can from government programs before you turn to private lenders. Private lenders might also offer borrower-friendly features, but they're far less generous than government loans. They often have variable rates, and they’re harder to qualify for (you’ll need good credit or a cosigner). The federal government encourages home ownership. There is certainly some debate on this subject, but the justification is that homeowners have an opportunity to build equity in their homes and improve their standard of living. They are involved in the community, they care about their properties, and they enjoy the sense of control over their living environment. They help people get into home ownership. These may be offered through federal or local government programs, and some nonprofit organizations. Features typically include down payment assistance or low-interest rates. However, these programs aren’t a free-for-all. Borrowers are typically restricted to certain income brackets, and there might be limits on how much you can profit from an increase in your home’s value. They are among the most popular options for borrowers who want to make a small down payment. You can put down as little as 3.5%, and it’s easier to use gifts and concessions to cover closing costs. However, you’ll have to pay an extra insurance premium and over extended periods of time that might not work out in your favor. Read more about how FHA loans work. The mortgage crisis is behind us, but some have still not recovered. Other, local factors can also bring down a home’s value. If you’re unable to refinance (because you’re underwater, for example), there are still several mortgage help programs available. Several other less-popular loan programs are backed by the government or government agencies. For example, VA loans are available to servicemembers and veterans, and USDA loans offer up to 100% financing for certain borrowers in rural areas. If you own a home in need of repair (or you’re buying one), the government is willing to help make your house and neighborhood a clean, safe, well-lit place. FHA 203(k) loans provide funding for the purchase or rehabilitation of a home. After a disaster, the U.S. Small Business Administration (SBA) provides funding for repairs to your primary residence and replace certain belongings. Even though it’s an SBA loan, you do not have to own a business. In addition to backing loans, the government offers programs that can help you reduce the amount you borrow. Public servants such as law enforcement officers, teachers, firefighters, and EMTs can also benefit from the Good Neighbor Next Door program. Local governments may also provide programs that help with energy-efficiency upgrades. PACE programs provide money for projects like solar installations, sustainable landscaping, and more. A rising tide floats all boats: small businesses create jobs for people in the community, and they create tax revenue for local and federal governments If you need help starting or growing your venture, shop government loan programs first. SBA loans should be your first choice, and they’re available at many local banks and credit unions. Although the government helps by guaranteeing loans, you’ll also need to put skin in the game. Be prepared to make a personal guarantee on most business loans you apply for. The SBA 7(a) small business loan is the most popular loan program, providing up to $2 million. Other loans are available for smaller enterprises. In particular, the SBA promotes microloan programs to help small businesses and nonprofits expand. Because there is no government guarantee on that debt, you may have a harder time getting approved: you’ll need decent credit and sufficient income to qualify for the loan. If you have trouble getting approved, you might have to pledge collateral or ask somebody to cosign for the loan with you.